08 Nov 2018 --- British-based multinational agribusiness Tate & Lyle says it has performed “in line with expectations” after its half-year results show flat profit growth with sales decreasing by 1 percent to £1.38 billion (US$1.81bn). The food ingredients maker fought off inflationary headwinds to deliver growth in adjusted profit before tax and strong cash flow despite cost inflation from materials. Key highlights for the six months to 30 September 2018 include Food & Beverage Solutions accelerating volume growth, including a 3 percent increase in North America. With a strengthened leadership in place, the company says it successfully managed inflationary headwinds. It reports a 2 percent increase in adjusted profit before tax and a 3 percent increase in Food & Beverage Solutions profit to £77 million (US$101mn). Volume was up 3 percent in North America and 16 percent in Asia Pacific and Latin America, while there was a 6 percent increase in sales of new products. Primary Products profit was 6 percent lower at £85 million (US$111 million), while there was a 1 percent increase in Sucralose profit to £27 million (US$35.4 million). Tate & Lyle says its Sweeteners and Starches profit is in line with the comparative period. During a conference call earlier today, CEO Nick Hampton explained how Tate & Lyle’s three programs to accelerate business performance are making good early progress. “In May, I set out a clear focus and direction for the business. That was to execute our strategy through three key priorities and to build an organization with a strong sense of purpose and a dynamic culture based on partnership, agility and execution. “As a result, our guidance for the financial year remains unchanged and the Board has increased the interim dividend by 2.4 percent,” he added. The company’s half-year results come shortly after new scientific studies were presented at the International Sweeteners Association’s (ISA) Conference in London earlier this week, supporting current evidence that low-calorie sweeteners can aid in sugar reduction, cravings management and weight loss. In May, Tate & Lyle PLC announced it had entered into an agreement to acquire a 15 percent equity holding in Sweet Green Fields, one of the largest privately held, fully integrated global stevia ingredient firms. Tate & Lyle also says there is early progress on its “Sharpen, Accelerate, Simplify” programs to accelerate business performance and actions are underway to deliver US$100m productivity benefits over four years. “We performed in line with our expectations in the first half delivering growth in adjusted profit before tax and strong cash flow despite cost inflation from materials and transport in North America, and lower profits in Commodities,” says Chief Executive, Nick Hampton. Commodities profit was £5 million (US$6.5mn) lower following an exceptionally strong comparative period, while there is a 5 percent increase in earnings per share benefiting from lower finance costs and lower adjusted effective tax rate. The Interim dividend increased by 0.2p to 8.6p per share; up 2.4 percent. The outlook for the year ending March 31, 2019, remains unchanged. 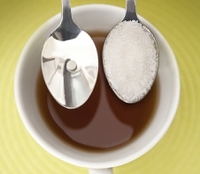 UK sugar tax one year on: Have levies played a role in accelerating health trends?